We’re pleased to bring to you a guest post by Adarsh Ramanujan. Adarsh is an advocate primarily assisting clients as a litigation attorney. He has recently started his own counsel practice with offices in Delhi and Chennai after having spent considerable time with Lakshmikumaran & Sridharan at their New Delhi and Geneva offices. He obtained his B.Sc. LL.B. (Hons.) degree (Gold Medalist) from National Law University, Jodhpur and LL.M. degree from University of California, Berkeley. He is a qualified Patent Agent in India. A major portion of his time is spent, practicing in the areas of IP & Technology Laws as well as in International Trade Law. He was however branched out into doing commercial litigation and arbitration work. His expertise also extends to regulatory laws such as environmental laws, biodiversity laws and cyber laws. 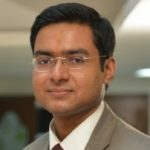 Adarsh has taught patent law in NLU, Delhi, NLU, Jodhpur and at the CEIPI Institute (University of Strasbourg). He has authored or co-authored close to 30 publications on diverse topics, including on IP, WTO, constitutional law and international tax. Adarsh has written several guest posts for us in the past as well, which can be accessed here. As I listened to President Trump’s State of the Union Address this morning, a point that struck me as worth debating over on this blog related to the issue of drug pricing. 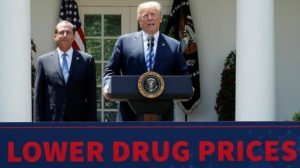 According to his address, drug prices have suffered the single largest decline in the US in 46 years, during his administration and further steps are being taken to bring down the prices even further. His fundamental position appears to be that US citizens should not be asked to pay for drugs, in order to cross-subsidize lower pricing models in other jurisdictions. This is a point he has made in the past as well. I don’t intend to argue for or against this, but rather highlight the implication for Indian IP practitioners. The patenting of drugs and drug pricing debate is not new to this country or this blog. 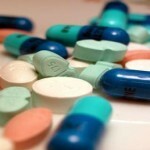 An oft cited argument I have come across in practice (whether in the form of arguments in proceedings or otherwise) is that most drugs (patented) are sold at supra-normal profit margins in several other (developed) jurisdictions over several years and thus, the proprietors recover sufficient profits over and above cost of R&D costs. Under the circumstances, extravagant pricing in India is not a commercial necessity for these companies and accordingly, R&D costs cannot be used as a basis to support high pricing of drugs in India. Or so, the argument goes. One may recollect the Bayer compulsory license case, where the compulsory license applicant had led evidence pointing out figures that the total amount spent on research and development from 1994 up to 2004 were allegedly recovered by the petitioner in one year itself. The IPAB had issued a finding that the R&D costs and the prices of other drugs do not assist in deciding what the public can afford reasonably. In contrast, the Bombay High Court held that research costs certainly could have been the basis to decide the reasonable price, but on facts, recorded the failure of the patentee to produce its audited accounts and indicated that adverse inference could be drawn in such cases. Frankly, as I think Shamnad has indicated a couple of times, without actual real-world numbers, it is difficult to argue this point either way. 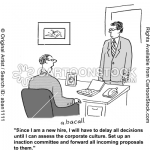 Further, the other issue also tends to be defining what is a ‘sufficient’ and ‘reasonable’ profit for that sector. One argument is that it should cover costs (defined to include R&D costs of the drug in question, costs of R&D failures, lost opportunity costs, costs to reach the market etc. ), return on investment and reserves to invest in the next line of research. There are no magical limits or numbers accepted generally and so, the debate rages on, ad infinitum. Nevertheless, from a conceptual point of view, it is thought provoking to consider the consequences of major jurisdictions like the USA moving towards an international pricing index model, with the intent to prevent indirect subsidization of users in other jurisdictions. It would then not be an option to make an open-ended carte blanche argument in India that proprietors obtain sufficient returns outside India and thus, must reduce their prices for the Indian market. I’ll acknowledge right away that it’s a theoretical point today and even when such a hypothetical situation crystallises in the future, it would continue to be a numbers game. Nevertheless, I thought it was worth considering the issue for a few moments. Have a good day! Hey Divij, please cover this. You posted that the government is seeking comments on the Cinematograph Bill on piracy, but the cabinet has already cleared the bill! How can this be? Yes, unfortunately it was cleared cleared by cabinet. Our present legislative process does not strictly mandate consultation, least of all the consolidation, release or response to comments. Hopefully, better sense may prevail in parliament. Will cover if there are additional developments.